Get ready for Elfia Haarzuilens with some great music and amazing folky family as we kick off festival season in style! 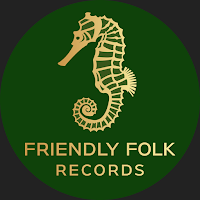 As a headliner Friendly Folk Records brings you Greenrose Faire, all the way from Finland! This beautiful band, made up of beautiful souls, plays a style of folk music that is very much their own, while connecting with the best traditions in both Irish and Nordic folk, and easily hitting home with lovers of fantasy and pagan folk styles. If you haven't seen them before make sure to check them out at www.greenrosefaire.com and find their awesome (live)videos on Youtube! Get out to Elfia Fantasy Festival in Haarzuilen, Netherlands on 21 & 22 April to catch x2 days of Greenrose Faire! Finland is quite far, but we will try to get these friends over to Netherlands as often as possible. Keep an eye on our promotional website for upcoming shows of this great band! Our Co-Headliners Harmony Glen, need very little introduction to fans in their homeland Netherlands! They will bring full force Celtic- Steampunk -Folk! Get out to see Harmony Glen on 6/April at their CD Release party! There will be a mini-market at the event where we will be joined by many of our folk festival vendors for all your Celtic shopping desires.